In December 2018, First Bank promoted a social media campaign tagged; #FirstBankIssaVybe, #DecemberIssaVybe. It involved massive ticket giveaways to premium events in Lagos including the First Bank sponsored Burna Live. Over 500 mostly VIP tickets, which cost from N15,000 to N50,000 – were given away and money raised for Down Syndrome when tickets to Burna Boy’s concert were slashed to N125. 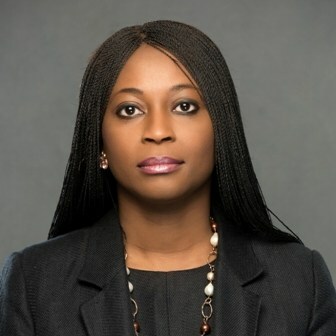 The Group Head, Marketing and Corporate Communications of FirstBank, Folake Ani-Mumuney explains why #FirstBankIssaVybewas a success and what other brands can learn from it. We have demonstrated we have a knack for spotting trends in the creative industries. We identify those we wish to partner with for that year and they end up being the biggest names. As the foremost bank, based on our experience overtime, it should be expected. So, any time you see us beginning to push a play or an alternative expression like spoken word or fringe theatres like Freedom Park, just know that person or trend is going to blow. It was a tremendous success because we reached a lot of our customers and had amazing feedback from social media. The engagement we had is worthy of a case study for any brand. I have an amazing team. And how they did all of that the whole of December: up all night at the concerts and plays, and then the next day, they kept on going. I just think all of that was the vybe. This year we are definitely going to be celebrating 125 years. If you look globally, how many countries can claim and boast of having an institution over a 100years. We want Nigerians to be proud to say actually, we have a home-grown brand that stands tall with other companies out there at 125 years. We are a bank and a brand that has demonstrated, within its DNA, it knows how to reinvent itself and remain relevant through all ages. We are still at the forefront of technology and innovation through all the things we do. Very true to our name, we have introduced a lot of things first. I think there’s reason to celebrate 125 and everything we do this year would be around it.